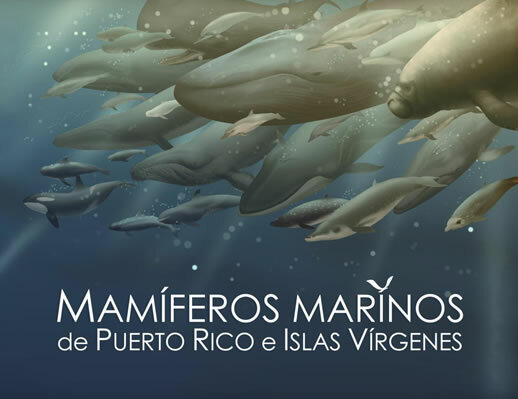 This book provides information about the marine mammals found in the waters around Puerto Rico and the Virgin Islands, and describes their morphology, their habitats, their population, and their feeding and mating habits. 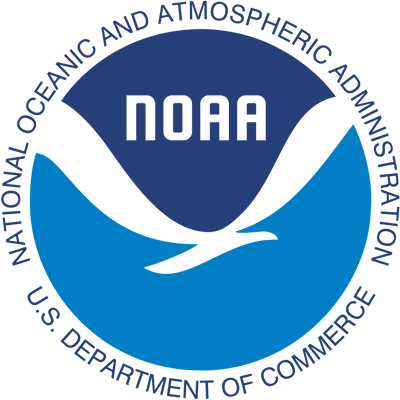 It also presents information about the agencies and organizations responsible for managing these species, the existing laws and regulations, and the steps to follow if a stranding occurs. This publication also explains the main threats faced by marine mammals and identifies ways in which humankind can contribute to their protection. La Parguera Nature Reserve, located in Lajas, stands out for its ample diversity in natural resources with great ecological value. Being, in its origins, a settlement devoted to fishing, the marine areas of La Parguera would provide the fruits of the sea to local consumers and the market at large. 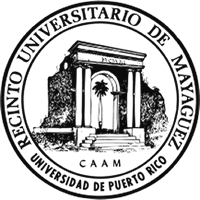 Today, La Parguera hosts a wide variety of economic, touristic, recreational and academic activities. The combination of the activities realized within this ecosystem also generates a constant impact to the living resources. By virtue of La Parguera’s being a landscape in which various habitats sheltering ecological and commercially important species are faced with human activities, it is imperative that the social and ecologic systems contained in La Parguera (of which humans are the central piece) be evaluated. 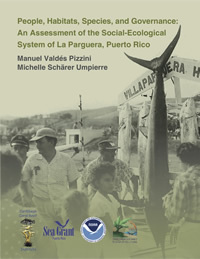 This evaluation is the focus of the publication titled People, Habitats, Species and Governance: An Assessment of the Socio-Ecologic System of La Parguera, Puerto Rico. For many, surfing is just a sport, but for others, it is a lifestyle. This phenomenon has impacted society, economy, apparel and even the way people talk. Surfing arrived to Puerto Rico a few decades ago, and it has changed from a hobby for ‘just a few people’, into a far-reaching enterprise that moves large sums of money. The Puerto Rican municipality of Rincón is living proof of this. 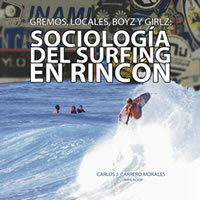 The authors of Grommets, Locals, Boyz and Girlz: Surfing Sociology in Rincón become immersed in the world of big waves and analyze their impact. They catch the social, economic and cultural wave mixed in with the regular waves and boards, and offer a perspective that is both academic and refreshing. 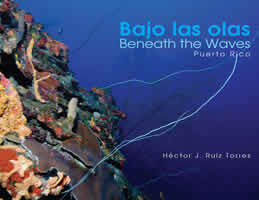 Héctor J. Ruiz Torres, a marine scientist, has utilized the knowledge he acquired in academia to develop an artistic approach to submarine photography. Beneath the Waves provides evidence of this ability. Through nearly a hundred photos, Ruiz Torres shows us the interesting subaquatic world that surrounds the Puerto Rican archipelago. Each image is accompanied by a description of the place where it was taken, the depth, and the characteristics of the organisms in the photo. 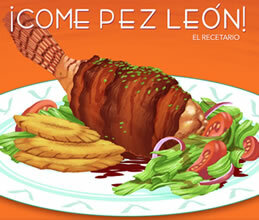 Furthermore, it is a bilingual publication providing information in English and Spanish. * This book currently has no English translation. 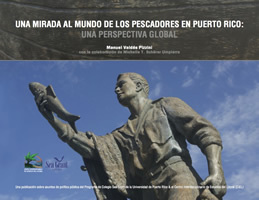 A Glimpse to the World of Fishermen gathers the history of fishing in Puerto Rico, examines its high and low points, and showcases themes which must be urgently addressed. 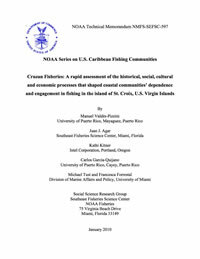 This public-policy document explores the current situation in which fishing in Puerto Rico finds itself with a high degree of precision and truth, and efficiently locates it within the global framework of this industry, enmeshing it with the events and decisions that have occurred along its continuum. It likewise offers concrete facts about the condition of our fisheries, without losing the sensibility which characterizes the way of life that has been a centuries-old way of life in our country’s coasts. Price: A donation of $5.00 is suggested. 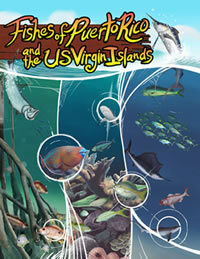 Fishes of Puerto Rico and the US Virgin Islands contains valuable information concerning the different fish species that inhabit our oceans and coasts, illustrations in color of each fish, their size, common names in Spanish and English, and their scientific names. 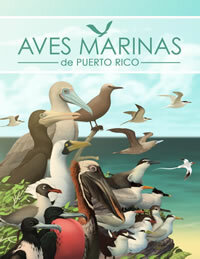 Order the fifth edition of this book and enjoy its beautiful images at the same time that you will learn to identify the fish species of our Caribbean waters! 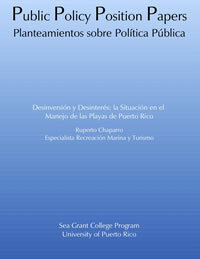 This publication aims to explain terms and concepts which help in understanding what maritime terrestrial public domain is and what it signifies, particularly the maritime terrestrial zone of Puerto Rico. 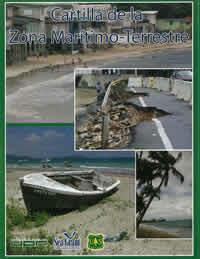 Its simple format and clear and precise language turn this book into an excellent consultation guide for subjects related to: maritime terrestrial zones, beaches, dunes, rocky coasts, tides, and marine and coastal ecosystems, among others. Price: A donation of $8.00 is suggested. Educating our children and youth, and raising their awareness about the value of our marine and coastal resources is a vital part of the Sea Grant College Program’s mission. 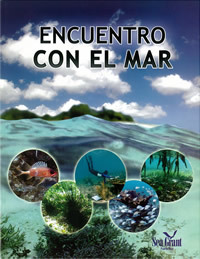 This book provides the necessary tools for teachers of 7th – 9th grade levels to educate their students on marine and coastal ecosystems (ex: mangroves, sea grass meadows, and coral reefs), applying the corresponding terminology and carrying out exercises aligned with the objectives of each lesson. 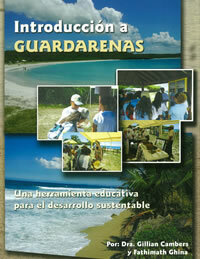 Sandwatch is an environmental education program developed by UNESCO and implemented in Puerto Rico by the Sea Grant College Program. This educational project counts with a reference manual and activities that encompass subjects such as: erosion and accretion, sand composition, beach profile, trash on the sea shore, water quality, water currents, wind speed and direction, and plants and animals, among others. Each lesson is accompanied by interesting activities that teachers, community leaders, students, children, and young people can perform outdoors. These can also be applied under different interdisciplinary approaches. 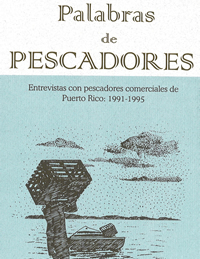 Through lively dialogue and sea tales, fourteen fishermen from the Puerto Rican archipelago candidly address the reader. These masters of their craft and astute observers of nature reveal some of the zoological and ecological knowledge which makes them stand out, while at the same time they express their points of view in regards to the management of marine resources. 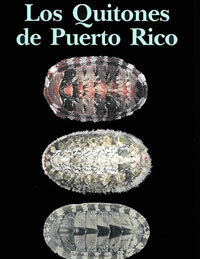 This is a beautifully illustrated and detailed account of the chitons, mollusks, and primitive beings living in Puerto Rico and the Caribbean. 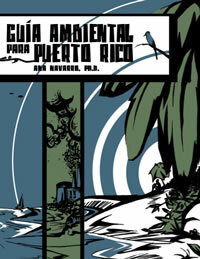 This book serves as a guide that will allow novices as well as professionals to identify all of the species known in Puerto Rico. The reader will be able to appreciate these animals for their intriguing general appearance and for the diminutive structures that make them different in comparison to any other animal group. With notes on their distribution, behavior, and ecology, this reference book is a must have for those interested in marine nature. 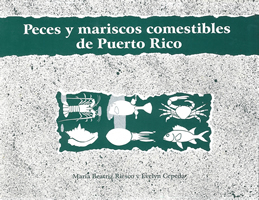 This publication describes a great variety of edible fish and shellfish from Puerto Rico. It provides information about the physical appearance of fish and shellfish, their size, habitat, reproductive behavior, how to catch them, and how to cook them properly for consumption. This guide provides advice to communities, civic groups, and non-governmental organizations about the necessary steps to resolve environmental problems. It includes a directory of federal and Commonwealth agencies and the issues that they regulate, as well as media contacts.